If quantity of roundels isn’t your thing, how about heft? 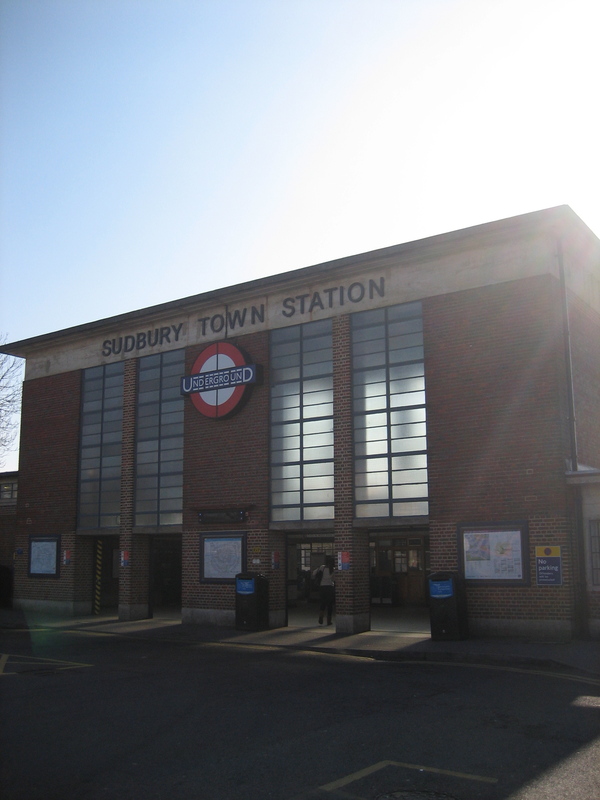 Mounted just above the main entrance to Sudbury Town station is one of the largest, not to say thickest, roundels I have ever seen. It is an enormo-roundel. Imagine having this on your doorstep. A few dozen people do. Lucky bastards. Were plans for such a building submitted today, I suspect they would not be approved. We’ve become a population more bothered by back yards than beauty. Back in the 1930s and 40s, poverty, war and reconstruction brought people into the streets. Now it is planning permission sub-clauses. Imaginative and exciting building could and should happen anywhere. If it’s breathtaking to boot, like Sudbury Town station, so much the better. 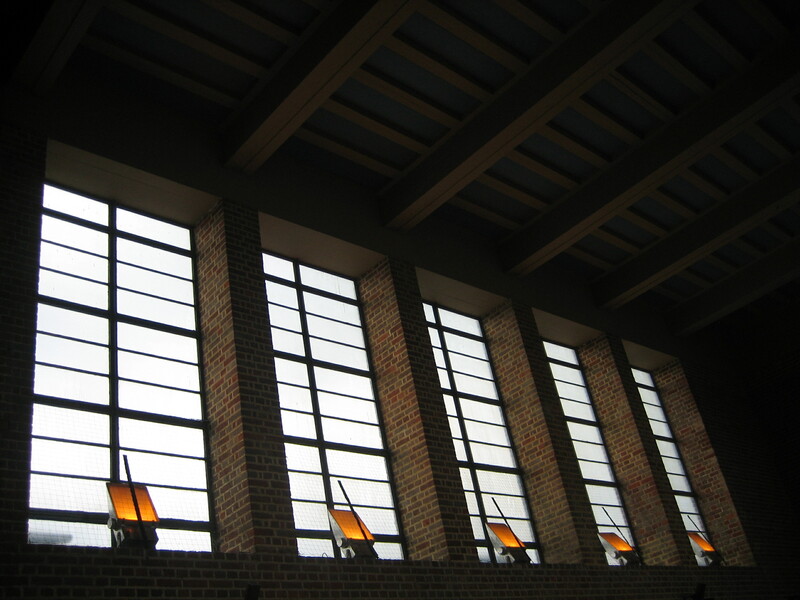 I can understand people objecting to something if it is impractical or uninspiring. I can’t understand anyone objecting to something just because it is new. There’s a slightly restorative feel to a building like this. I’d rank it alongside tasting air after a thunderstorm or a dip in a geothermal spring. (I’ll leave you to decide which I’ve experienced most recently). 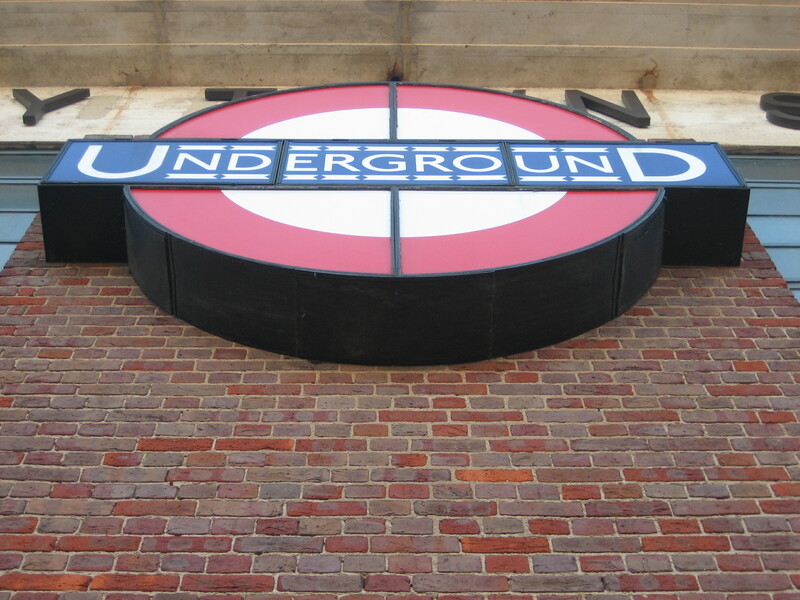 Or it could just be that enormo-roundel, which leaves me a bit giddy, and also wishing I could have one on my living room wall. Great to see another page finished. Enjoying this very much. Keep up the good work. Mark. 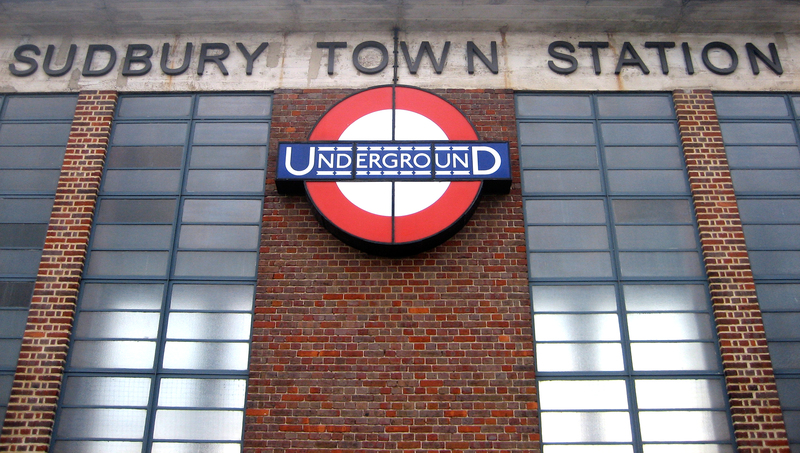 I can’t get totally on board with Sudbury Town because I disapprove of the font on the outside. That is not Johnstone.